EastEnders royalty Danny Dyer has discovered he is related to – well, real royalty. In an upcoming episode of Who Do You Think You Are?, Dyer discovers he is directly descended from two British Kings – William the Conqueror and Edward III. Upon learning of the royal connection, Dyer said: “A kid from Canning Town, and this is my bloodline? It doesn’t feel real. The series, which uncovers the family genealogy of celebrities, will begin airing later this month, with Dyer’s episode set to air at 8pm on November 24 on BBC One. It’s not only royals that have played a part in making Danny Dyer, however. Noted advisor to Henry VIII, Thomas Cromwell, is also a distant relative. Television fans will recall that the controversial Thomas Cromwell was the subject of recent BAFTA-winning drama Wolf Hall, starring Mark Rylance. 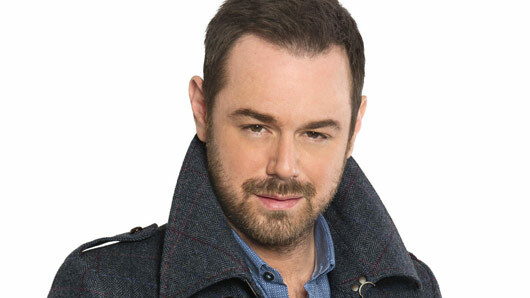 Dyer is best known for his role as Queen Vic landlord Mick Carter on EastEnders, who recently celebrated the wedding of his eldest son Lee to barmaid Whitney. However, he remains unaware of his son’s continuing depression and recent unaffordable spending spree. Watch Danny Dyer in Who Do You Think You Are? on November 24 at 8pm on BBC One. « Made In Chelsea spoilers: Which friendship is over and whose relationship is on the rocks?